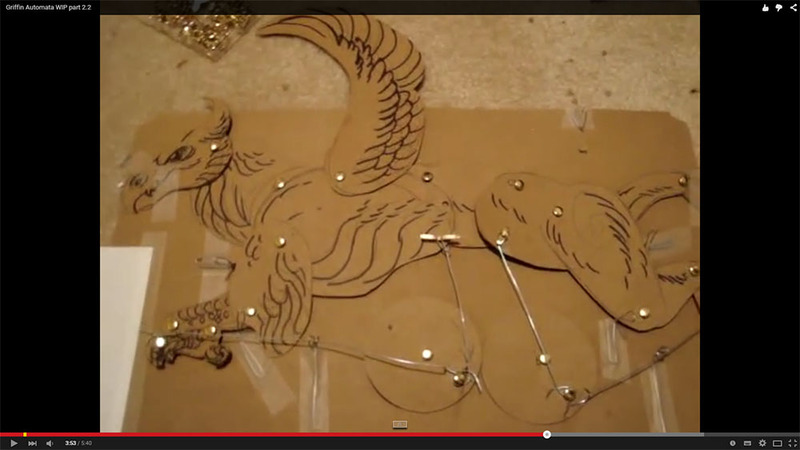 Just watched these videos by Katy Hargrove about paper prototyping for an automaton project. Very helpful and I definetely recommend for beginners like me. By the way I have found these videos through Dug North’s The Automata Blog which is an amazing website full of information about automata. I know! I have LOVED these two unique videos for years… Been waiting and waiting for MORE from Ms. Hargrove too. So great to see a female (!) Showing process (!) for a flat automation (!). So great, right?! GOGOGO! !